Can Washington Learn from the EU Boondoggle? The European Union has been the ideal for many a Davos man of uber-government bureaucracy, with unelected officials given plenty of control over running everything. Add in a stunning degree of dhimmitude toward jihadist headchoppers, appeasement toward Islam generally and anti-Americanism in spades, and you have today's EU. Like NAFTA, the EU started out as a trade association. But elites found that it was a handy way to diminish representative government (with all those annoying citizens expecting their rights) by undermining sovereignty. Say, isn't that what Ralph Nader used to warn against 151 corporate power threatening American democracy? At any rate, Europeans have not been happy with post-national political union (particularly the immigration part) and have used their remaining shreds of self-rule to say so [EU is at a turning point, LA Times, By Charles A. Kupchan, May 30, 200]. In Britain and Poland in the last month, nationalistic parties uneasy with integration into the European Union have scored major advances. The EU constitution, rejected last year by France and the Netherlands, is dead in the water. Economic nationalism and protectionism are surging. The French, Italian, Spanish and Polish governments recently have taken steps to protect national industries from foreign takeover. On a continent that dreamed of eliminating national borders, hostility toward immigrants 151 especially those from Muslim countries 151 is causing national boundaries to spring back to life. In short, political life across Europe is being renationalized, plunging the enterprise of European integration into its most serious crisis since World War II. 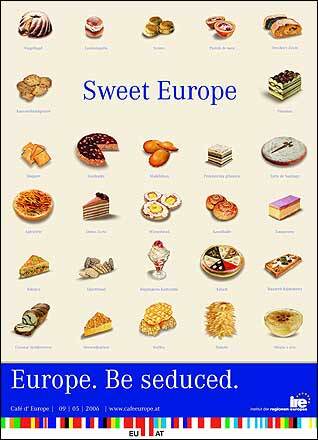 At least the European Union has been presented to the people in a more or less straightforward way. In this country, the shotgun marriage with Mexico (and Canada), aka the North American Union, has been developed in stealth, disguised with open borders and permissive immigration, because the American people would never give up the nation which many thousands in uniform died to preserve.